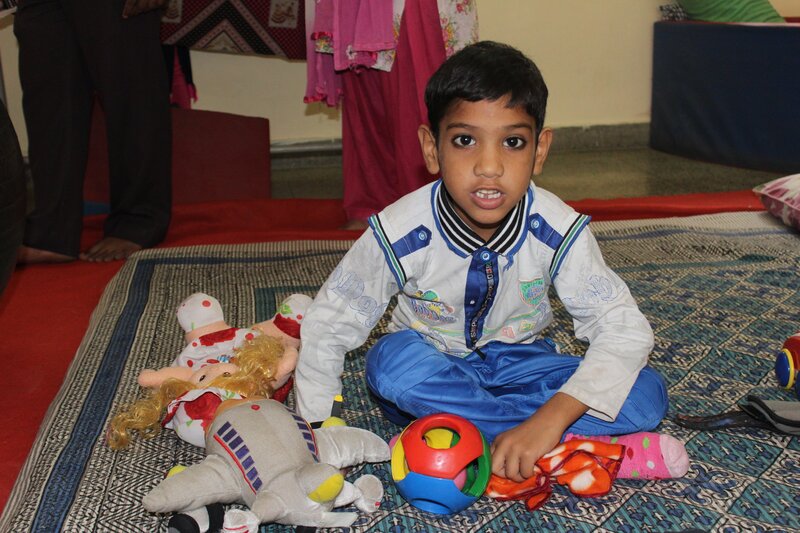 Shubhan, a child with mild mental retardation and physical disability chose a rattling toy which he found fascinating. 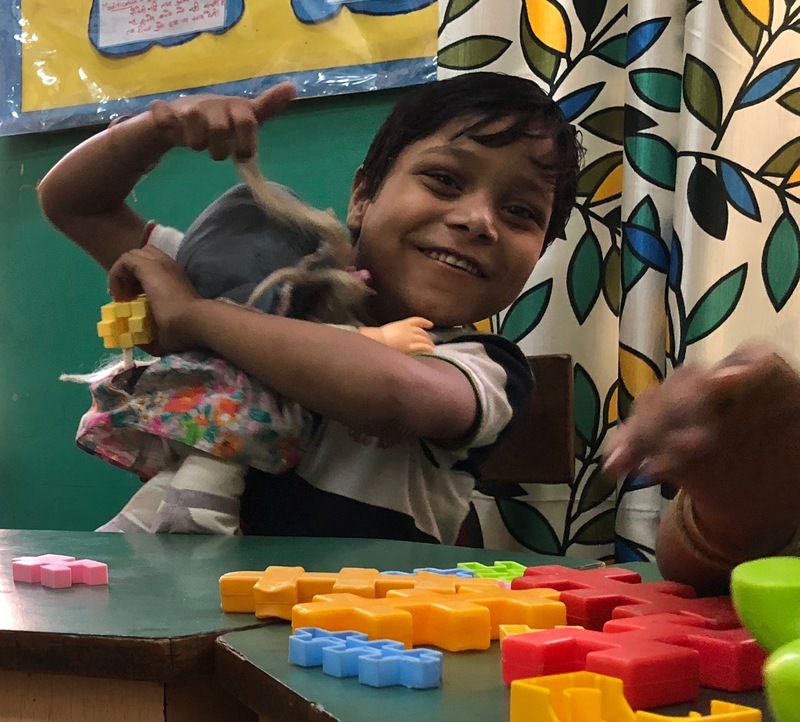 He was so excited to see a box full of toys and in spite of his difficulty in walking he picked toys from the box and shared it with other children who were undergoing therapy at the early intervention unit. “We have had so many people donating games to us, but none of them have donated soft toys. I have always prayed that someone gives the children some soft toy to play with! 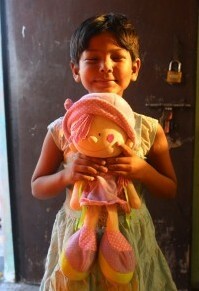 They children are so young that right now they really look forward to playing with dolls and soft toys. Team skills have definitely enhanced. 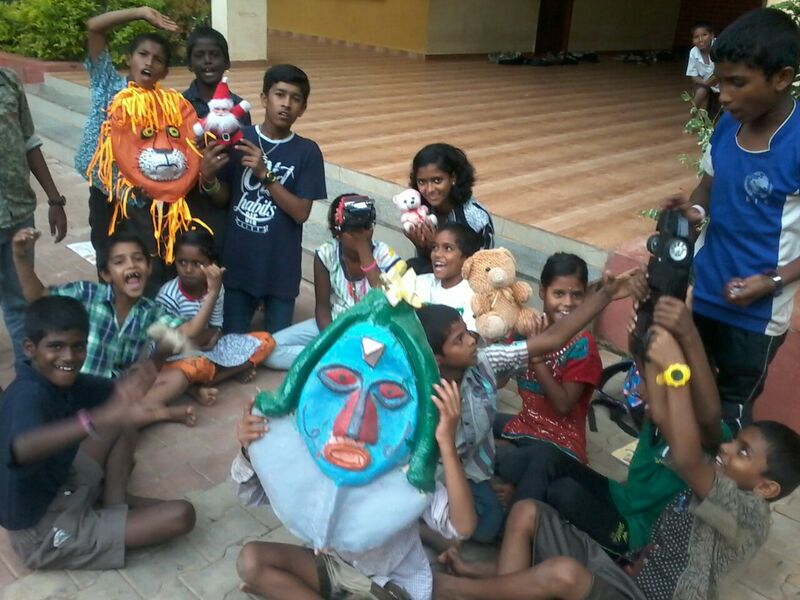 In fact, the children use soft toys to do storytelling and theater on issues that matter to them. “Everybody knows children love toys. 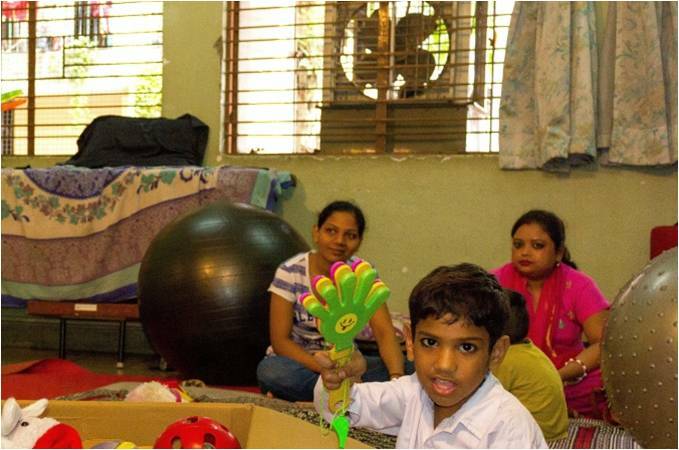 In our day care centre the attendance has become regular and children are happy to play with the toys. They also have the freedom to play with the toy they want. 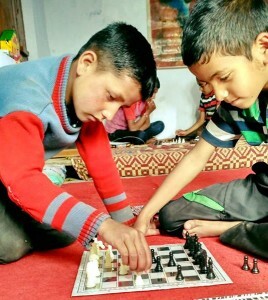 Children have started playing in groups as well. Each child has their own favorite toy. 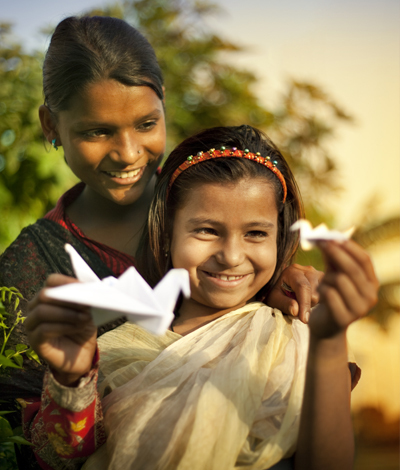 12-year-old student, Khushboo, who learnt playing basketball through basket ball rings received from the Toy Bank picked up the game really fast. Once, during the play, she committed a foul when she was about to score; she herself came forward to accept her fault. After this incident, the requirement of a referee was terminated and this simple act of hers through basketball taught the kids a very important trait of life. I have observed when kids were playing a business game (name) sent by the Toy Bank, they learned the skill of making cost-benefit analysis. 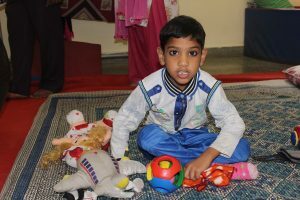 We got to know about Toy Bank and Vidyun through another organisation supported by them in Dewas district in Madhya Pradesh. 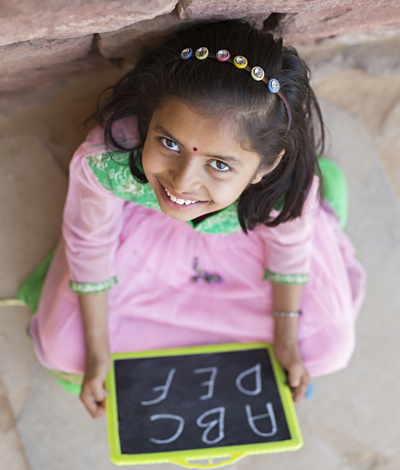 We reached out to Vidyun and she had been extremely supportive to us. 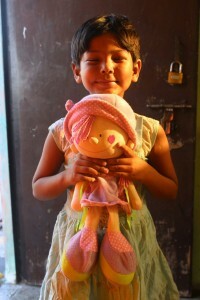 She sent us age-graded toys which made kids in the centre very happy. 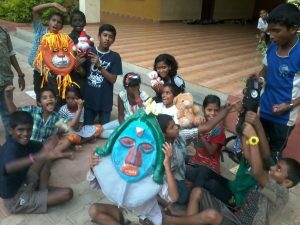 But what drew my attention is that the toys were also resource to kids; they began to take care of their toys and learnt to share them responsibly with other kids. I believe this sense of responsibility that instilled in our kids was because of the Toy bank efforts. 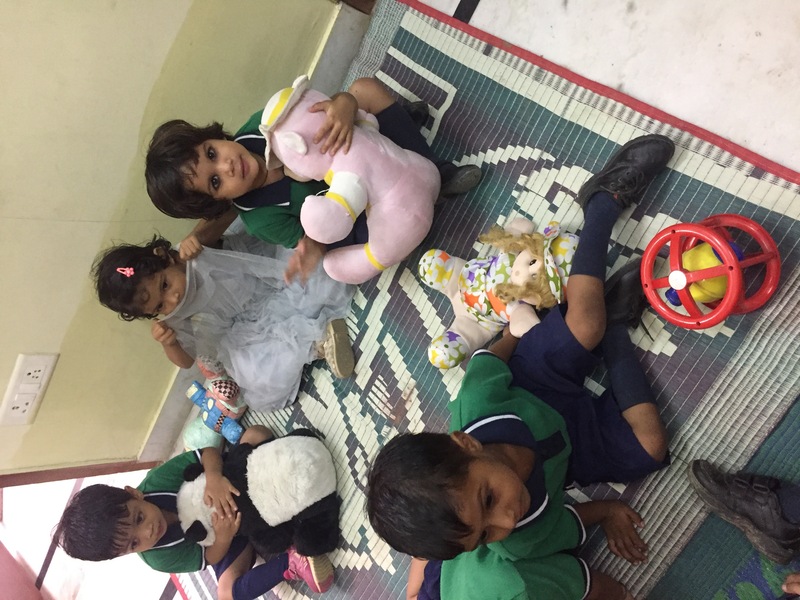 Our kids are super excited after getting toys; especially soft toys that students use to make different characters of a story. Puzzles are like a food for their brain. A sense of competition is visible among students who want to play better than their peers. Best thing to happen is that my students have started coming early to schools so that they can play in the morning hours. Even during the free time, earlier the classroom would turn noisy but now we see students playing with the games. I have begun to use toys as an incentive to manage their conduct in classroom. Their daily quota of milk and breakfast and return to their homes. After the toys came in, kids began to stay at anganwadi premises for longer period of time. 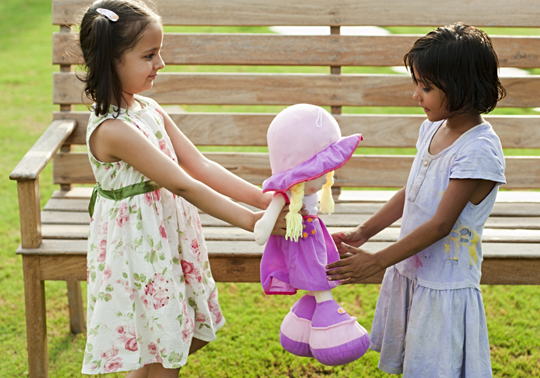 They play with toys along with other kids and, in the process, they develop their cognitive and social skills. 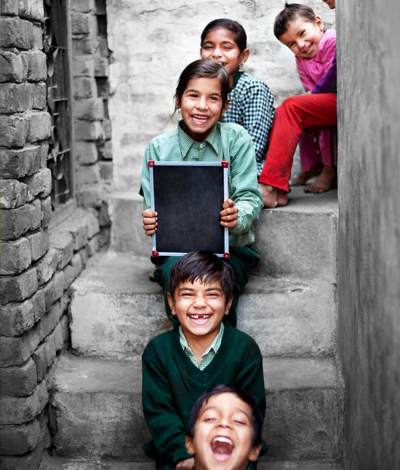 Earlier they would get physical nutrition, now they also receive mental nutrition. 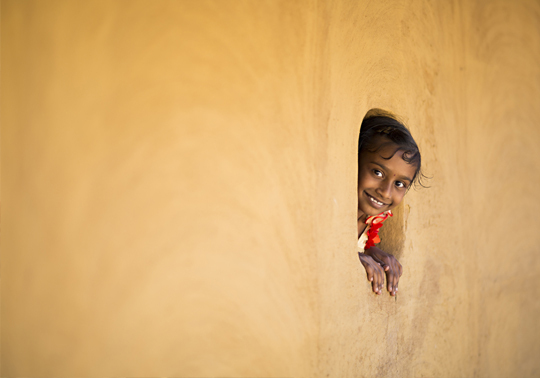 Toys are a great asset in mini angwanwadis where a single person is responsible for cooking and taking care of kids. To illustrate, my workload has reduced greatly since the kids play while I cook. 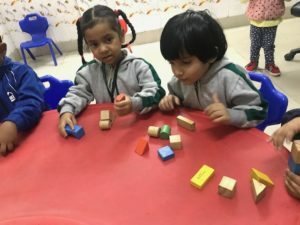 Our Anganwadi is very close to a highway road and I was worried if the kids will go to the highway, but now I do not have to worry as they remain busy indoors by the toys. Kids’ attendance has also increased. Educational toys have been great help to unruly kids. For example, word games have helped them to learn new words and spell them well. The jigsaw puzzle pieces facilitate students to work in groups and build team-work. 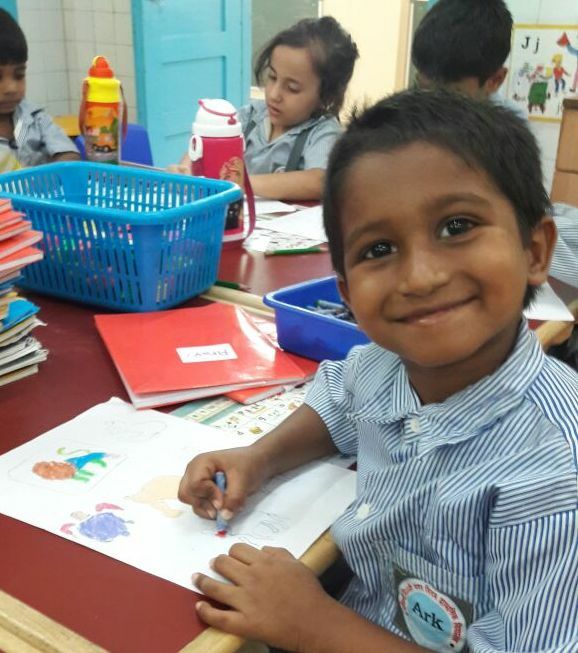 This unconventional method of learning has made them enjoy their lea rning. 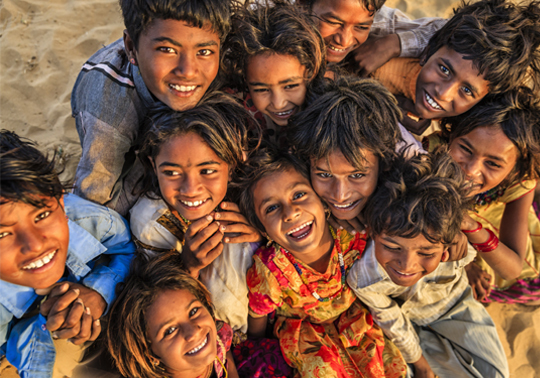 Children in the village of Kaprada are suffering from high levels of malnutrition. 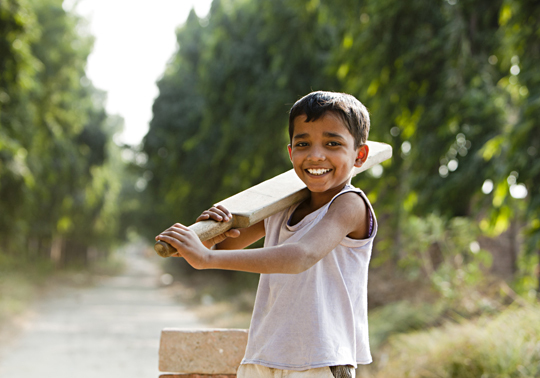 Usually, kids would collect their daily quota of milk and breakfast and return to their homes. 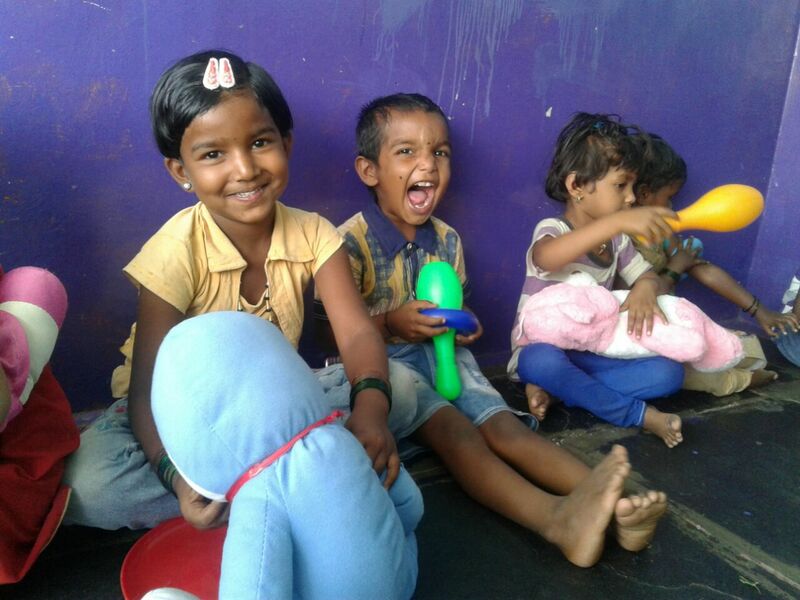 After the toys came in, kids began to stay at Anganwadi premises for longer period of time. 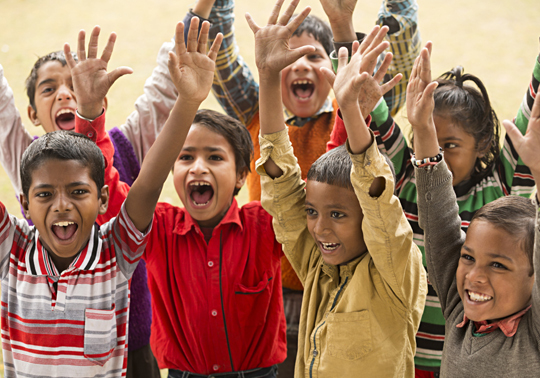 They play with toys along with other kids and, in the process, they develop their cognitive and social skills. 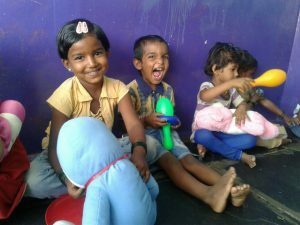 Earlier they would get physical nutrition, now they also receive mental nutrition.Toys are a great asset in mini Anganwadis where a single person is responsible for cooking and taking care of kids. To illustrate, my workload has reduced greatly since the kids play while I cook. Our Anganwadi is very close to a highway road and I was worried if the kids will go to the highway, but now I do not have to worry as they remain busy indoors by the toys. Kids’ attendance has also increased. The Anganwadis we cater to exist in remote, tribal areas of Kalam tai, borpadav, rupli pura, and kandiya. These villages are about 12 kilometers away from main roads. These Anganwadis never had toys earlier and kids too were unwilling to come there. But now after receiving toys, these centres are bustling with enthusiastic kids. 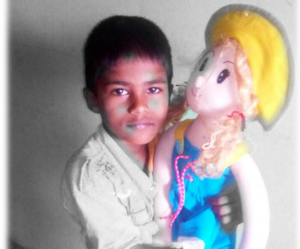 More than 350 children across six villages are receiving benefits because of toy bank. Toys from The Toy Bank has been really helpful to provide movement breaks to students especially, children with special needs. We also find it very useful for our youngest lot for the Pretend play which is a very crucial part for their growth. The multiple xylophones donated by The Toy Bank has helped in the concentration, eye-hand coordination and fine motor skills including finger movements of the children in the occupational therapy unit as well as in classrooms. It is also helpful as a reinforce during speech therapy and is also used for screening of “hearing” in particular children.